Injections More Effective Than Pills in Reducing Knee Osteoarthritis Pain Injections of hyaluronic acid relieve the pain of knee osteoarthritis better than nonsteroidal anti-inflammatory pills, according to an analysis published by the Annals of Internal Medicine. Researchers looked at studies that measured the comparative effectiveness of acetaminophen, diclofenac, ibuprofen, naproxen and celecoxib (Celebrex) pills versus injections of corticosteroids or hyaluronic acid. Some of the clinical trials’ volunteers were given oral or injected placebos. Scientists assessed how the various treatments relieved knee pain, restored function and reduced stiffness. The findings provide important information for the millions of knee osteoarthritis patients who require orthopedists’ services every year. An increasingly popular treatment method features injections of cortisone or hyaluronic acid. In advanced cases, some patients need total knee replacement (also known as knee arthroplasty), which entails surgically replacing the joint with prosthetic devices. The scientists reviewed 137 studies involving 33,243 participants. They concluded that hyaluronic acid was “the most efficacious treatment” for pain, while acetaminophen was the least effective. There was no clear winner in terms of enhancing knee function or reducing stiffness. The researchers wrote: “Intra-articular treatments were superior to nonsteroidal anti-inflammatory drugs. … All treatments except acetaminophen showed clinically significant improvement from baseline pain.” The authors of the review, funded by the the Agency for Healthcare Research and Quality, were Drs. Raveendhara R. Bannuru, Christopher H. Schmid, David M. Kent, Elizaveta E. Vaysbrot, John B. Wong and Timothy E. McAlindon. Bannuru, a researcher at Tufts Medical Center in Boston, told the New York Times that the best kind of treatment depends upon the individual. He explained: “The key message is that hyaluronic acid and steroid injections are more effective than drugs. But all the harms and benefits need to be taken into account. I would advise people to talk to their physicians about the pros and cons, and choose the treatment appropriate for them.” The knee contains hyaluronan, a gel-like substance that lubricates the joint and acts like a shock absorber during exercise. Osteoarthritis patients have low levels of this material, resulting in irritation. Hyaluronic acid, which has a similar structure as the naturally occurring substance, can be injected into the knee in a procedure called viscosupplementation. Knee osteoarthritis is one of the most common types of arthritis, according to the American Academy of Orthpaedic Surgeons (AAOS). It results from the gradual wearing away of cartilage, which becomes rough and frayed. That increases the space between bones in the joint, causing the bones to rub against each other and sometimes fostering the growth of bone spurs. The condition starts slowly, with the discomfort intensifying over the years. Pain, inflammation and reduced range of motion are the primary symptoms. Knee osteoarthritis limits a person’s ability to perform simple tasks like walking and climbing stairs, and is a leading cause of disability. The condition affects primarily older people, especially those who are sedentary and overweight. “Vigorous activity may cause pain to flare up,” the AAOS explains on its website. 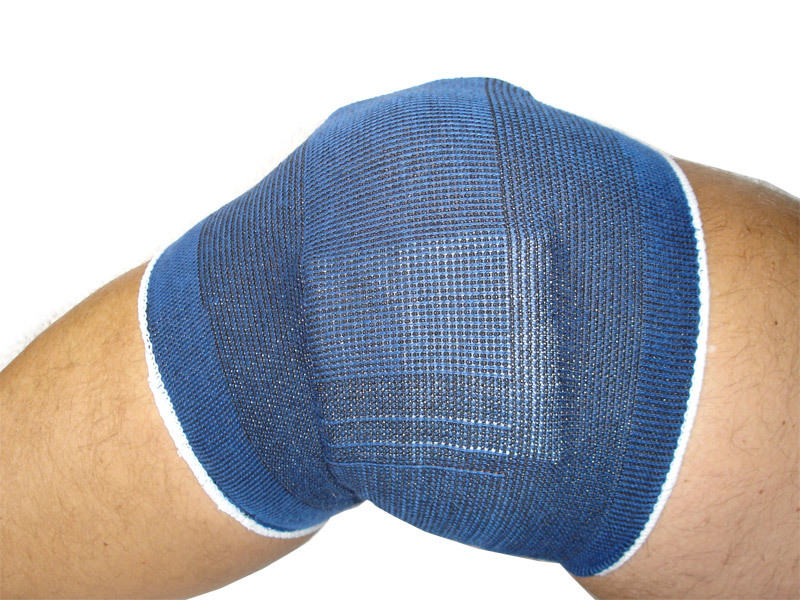 “Loose fragments of cartilage and other tissue can interfere with the smooth motion of joints. The knee may ‘lock’ or ‘stick’ during movement. It may creak, click, snap or make a grinding noise (crepitus). 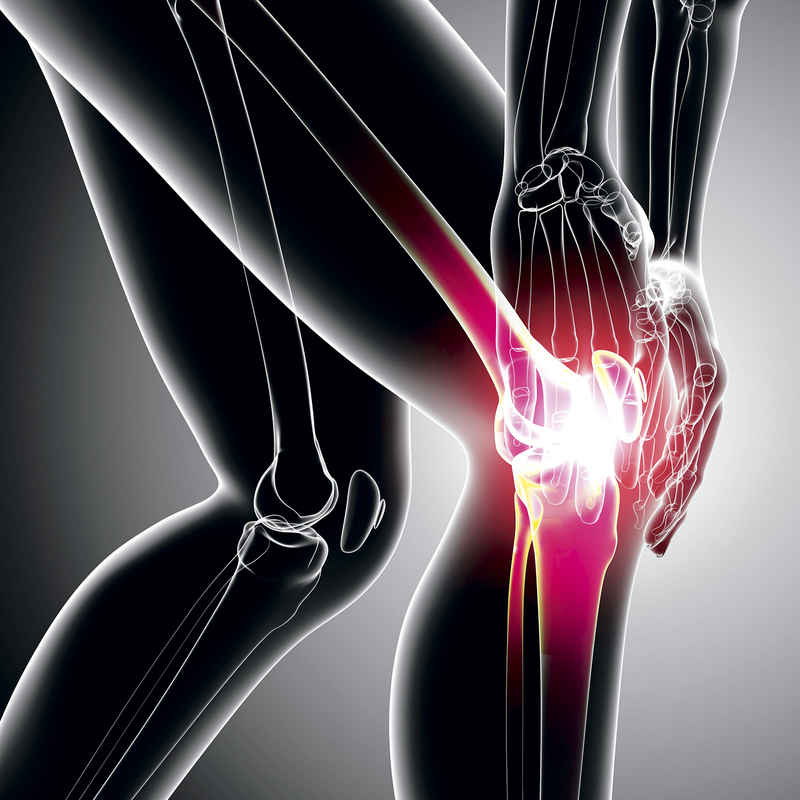 Pain may cause a feeling of weakness or buckling in the knee. Many people with arthritis note increased joint pain with rainy weather.” There is no cure for osteoarthritis. Orthopedists recommend that patients eat a nutritious diet and lose weight. It is also crucial to stop or reduce physical activities that aggravate symptoms. The AAOS advises that “switching from high-impact activities (like jogging or tennis) to lower-impact activities (like swimming or cycling) will put less stress on your knee.” Physical therapy involves individually designed exercises that improve flexibility and expand the knee’s range of motion, while strengthening muscles that support the joint. Among the assistive devices for osteoarthritis sufferers are canes, shock-absorbing shoes and inserts, knee braces and sleeves, and elastic bandages. Other remedies, according to the AAOS, are applications of heat or ice, pain-relieving ointments or creams, acupuncture, magnetic pulse therapy, glucosamine and chondroitin sulfate supplements, and pain-relief and anti-inflammatory medications. Corticosteroids, also called cortisone, are anti-inflammatory drugs that doctors inject directly into arthritic joints to provide temporary relief. When nonsurgical treatments fail to relieve the pain and restore knee function, cartilage grafting is an option. It involves extracting healthy tissue from another part of the knee and inserting it into the space that contained damaged cartilage. In a procedure known as an osteotomy, the shinbone or thighbone is cut and reshaped to reduce pressure on the knee. When knee replacement (or arthroplasty) becomes necessary, doctors make small incisions in the skin. They insert tiny medical instruments that diagnose the problem, remove damaged cartilage and bone, and implant metal or plastic prosthetics. If you are suffering from pain and reduced function in your knee, it is vital to find out whether your symptoms are caused by osteoarthritis or another condition. Schedule an evaluation by the sports medicine staff at Orthopedic Surgery San Diego to get a diagnosis and learn about the best treatment options available to you.